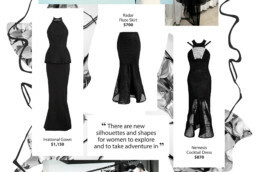 Myer, Australia's largest department store group, puts out an exclusive Designer collection every season, featuring top designers such as Tony Maticevski and Alex Perry. The collection is accompanied by a web hub which promotes and sells the product, as well as a Livestream fashion show, and multiple channels of on- and off-line advertising. Working with the Digital Creative Director, I developed the concept of a web hub that emulates the designer's sketchbook. The pieces which end up in the collection are constructed with immense skill, talent and love, and I felt that it would be fascinating to have an insight into this process. I wanted visitors to the hub to feel as though they were peeking into the mind of the fashion designer, and to tell a fluid, evocative story about the ideas and inspiration behind each designer's collection. I created an initial design based on this idea, using fonts and photography from the ATL styleguide developed by Badjar Ogilvy, and then myself and the digital design team carried the scrapbook idea across all 20 designer pages. Each page opened with a paragraph introducing the designer's collection. 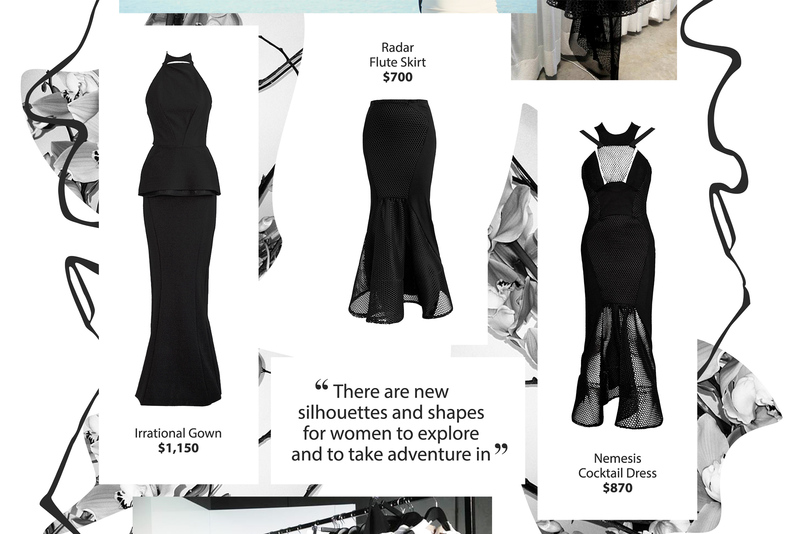 Short quotes from the designer describing their range also appeared throughout the page. Each designer was asked to provide us with inspiration shots, sketches, fabric samples - anything they would normally include as part of their concepting process. These visual elements were then used as either feature or background graphics to lead the visitor's eye down the page, and to create the feel of the range. The designer collection was shot on location in Fiji, and the resulting imagery used across all media channels. Short video excerpts featuring the product were also shot on location, to better acquaint the audience with the way the product looks and wears - these videos were then featured as part of each designer page. The shoot was managed by ATL agency Badjar Ogilvy. Featured product was included on the page with direct links to the online shop. The flat lays were presented organically as part of the scrapbook layout, to entice interaction and purchase. At the base of each page, we included social content featuring the collection and a way for people to search for the range on Instagram. The Myer SS15 Designer Collection was also featured in a Livestream fashion event held at Myer Melbourne. I edited existing video content from the fashion shoot in Fiji (provided by Badjar Ogilvy) to create a teaser for the upcoming fashion show.